Received from the author for review. From the Book of Ether comes a haunting story of two royal sisters. The elder sister, Ash, will do anything to bring her father, King Jared II, back to the throne. The younger sister, Naiva, only wants to save her family from destruction. The bond of sisterhood becomes precariously fragile when one man . . . named Akish . . . falls in love with the younger sister, Naiva. Yet he chooses to marry the elder sister. The sisters’ hearts are divided. And when Ash becomes queen, seduced by the promise of power and wealth, Naiva watches her world crumble away. She sees only one way out. But it will require forsaking all that she holds dear. 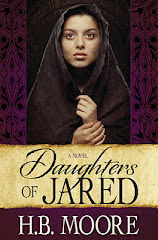 Daughters of Jared is another gripping and dramatic Book of Mormon tale from the extremely talented Heather Moore. In this novel, characters from the book of Ether are brought to life, including King Jared, Akish, Omer, and Asherah. Naiva, though completely fictional, was placed in this historical setting to convey the story from her point of view. As the story unfolded, I was very impressed by the complex relationships between the characters. I found it interesting that Naiva was attracted to Akish during the first few chapters, that she loved her father and sister so dearly even when she knew what they were doing was wrong, and that her romance with Levi blossomed so suddenly. All of these relationships had a lot of depth and complexity and none of them felt at all stereotypical. Naiva's relationship to her family was probably the most prominent in the story. Through her actions, I could see how fiercely devoted to her themshe was, even though many times she was mistreated in return. So many times, I wanted to shake her and yell at her to just leave! However, as I began to think about it, I wondered what I would have done in a similar situation. Blood ties are binding and this concept was fully captured through Naiva's relationship with her family, especially her sister. I have to admit that I had a hard time reading some parts of the book because they were so intense and because it is hard to understand how people can be so cruel, especially to their own children. However, I think that is why historical fiction is so important to read. We can learn so much about different cultures and customs. And Heather Moore is a master at historical fiction! I am always amazed and impressed at the amount of research she must put in to each of her novels. 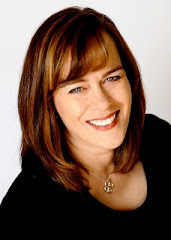 Heather B. Moore is the author of several historical novels based on prophets and other inspired individuals from The Book of Mormon, including the Out of Jerusalem series, which are written under H.B. Moore. She is also the author of nonfiction book Women of the Book of Mormon. Heather has found resea﻿rching the faithful women of ancient Israel and Mesoamerica fascinating and enjoys discussing and sharing insights. Heather graduated from Brigham Young University with a major in Fashion Merchandising and minor in Business Management—which has nothing to do with writing novels, but at least she can balance a mean checkbook and color-coordinate her kids’ school clothes! 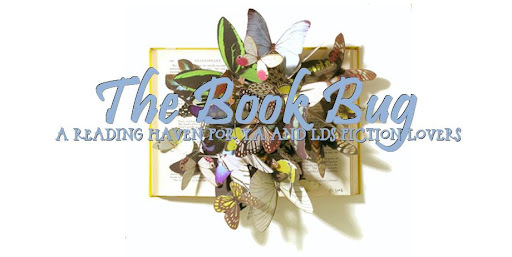 Latter Day Books Blog Tours Reviewers Needed! If you are interested in reviewing for LDS authors, sign up for the Latter Day Books Blog Tours mailing list. Click here. New Podcast!--"The Mystery of Frost Cave"
Apologies, Explanations, and Trying to Make Up for Lost Time!!! Hey, Guys Get Over There! The UNofficial Anita Stansfield Fan Club! [Anime] Samurai Flamenco: Dream or Delusion?